I love to watch my dogs at play. And how they love to play ... it’s what they do best (or sleep – it’s a toss-up)! Typically at the end of their hard-fought battle over their aged but highly valued stuffed toy, I reward their efforts with a treat. Oh, don’t get me wrong, they love their treats, but I honestly believe that my devoted attention during their play is all the acknowledgement they want of their hard work. It seems to energize their play even more. Isn’t that true of all of us? As we put our heart and soul into our work, deep down we hope that someone notices our effort. Winning a big prize would be awesome, but simply being recognized for our efforts is just as rewarding. My thoughts turn to our hard-working educational community. Let’s work to make a difference this school year by recognizing the fine work of our teachers, administrators and school staff throughout the school year! And it’s so easy to do! You can do it formally through excellent recognition programs such as the Michigan Department of Education Teacher of the Year, which is also sponsored by Meemic (nominations are open now through Oct. 20 – check it out). Illinois has its “Those Who Excel” program for teachers, and Wisconsin’s Herb Kohl Educational Foundation provides multiple recognition programs, too. Your local school district may also have formal recognition program that you may want to explore. But let’s not forget the power of a simple, personal recognition – it’s just as special. Send a hand-written note to the teacher via your child to acknowledge a milestone achieved because of their efforts. Post a thank you on Facebook, hashtagging the school and teacher. Let me know, as well!! I would love to recognize them through Meemic’s social media venues. We all perform better when we know our efforts are noticed. Make a difference this school year by recognizing your student’s education support team (teacher, administrator, support staff)! But let’s not stop there …. there is something to be said about recognizing our colleagues. Don’t forget to do a shout out for a “job well done” to your fellow teachers, administrators and support staff. Those are just as rewarding! 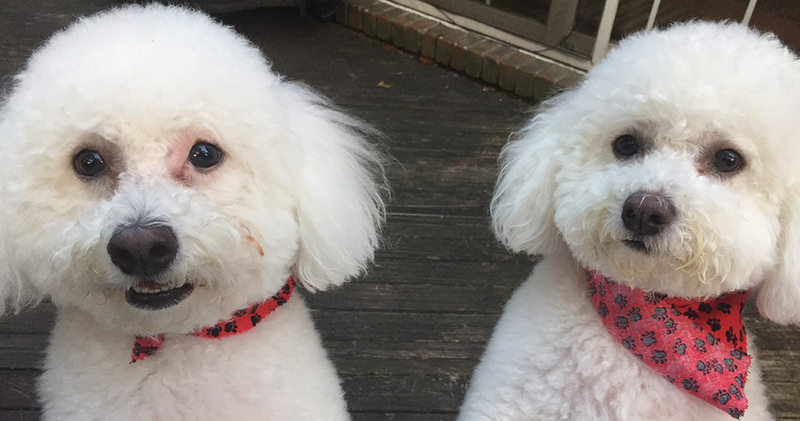 My dogs have been so patient while I wrote this blog. Time for a treat! !